The Postpaid plan is an effective way for the seller to get more transparent reconciliations, uninterrupted shipping, and benefit from faster COD remittance process. It gives the seller more power over their money and enables them to utilize it for shipping while their COD remittance is processing. 1. Dynamic Shipping Limit - With the Postpaid feature, a seller gets a daily dynamic shipping limit based on his/her COD delivered shipments. How to switch from Prepaid to Postpaid ? 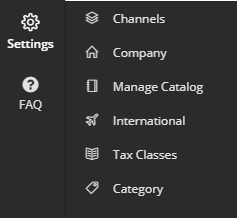 Go to the Settings on the ShipRocket Panel and click on Company. 3. If you wish to move to Postpaid, please turn the toggle on. 4. After opting for the Postpaid setting, you’ll be required to upload the image of your signature and accept the Agreement.